Franco Nuschese hosted Clint Hill on the 50th anniversary of a weekend that changed the world. The #1 New York Times Best selling authors, of Mrs. Kennedy and Me, Clint Hill and Lisa McCubbin presented their latest book, Five Days in November, in an intimate conversation, along with rarely seen slides and videos. Five Days in November is an historic account of the trip to Texas by President John F. Kennedy and his wife Jacqueline in 1963 and the heartwrenching days that followed, as America united in grief. Those five days, November 21 – 25 are indelibly marked in the hearts and minds of all people old enough to have lived through that period. For Hill, who was by Jacqueline Kennedy’s side through it all, it was the defining period of his life. A story that has taken Hill fifty years to tell, it is a work of personal and historical scope. Clint Hill commemorates the 50th anniversary of the tragedy with this stunning book containing more than 150 photos, each accompanied by Hill’s incomparable insider account of those terrible days. With poignant narration accompanying rarely seen images, we witness three-year-old John Kennedy Jr.’s pleas to come to Texas with his parents and the rapturous crowds of mixed ages and races that greeted the Kennedys at every stop in Texas. We stand beside a shaken Lyndon Johnson as he is hurriedly sworn in as the new president. We experience the first lady’s steely courage when she insists on walking through the streets of Washington, D.C. in her husband’s funeral procession. Besides the unbearable grief of a nation and the monumental consequences of the event, the death of JFK was a personal blow to Clint Hill, who was sworn to protect the first family and who knew, from the moment shots rang out in Dallas, that nothing would ever be the same. 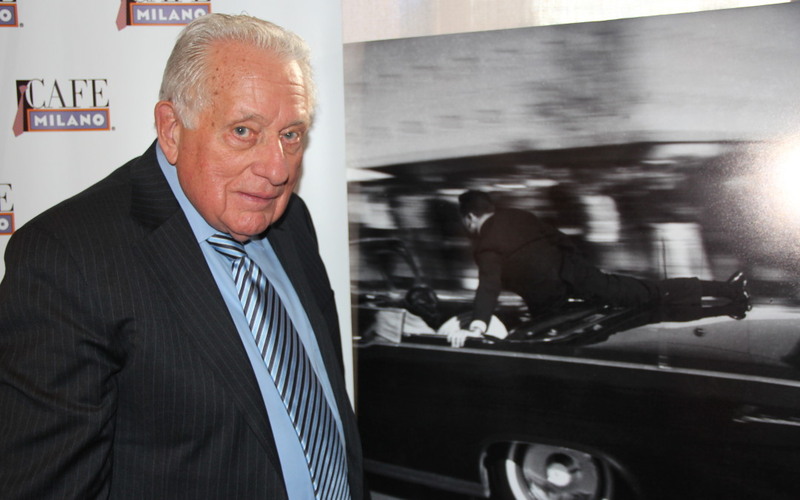 Clint Hill is a retired United States Secret Service agent who will forever be remembered for his courageous actions in the presidential motorcade during the assassination of John F. Kennedy. Assigned to protect Jacqueline Kennedy, Hill remained with Mrs. Kennedy and the children for one year after the tragedy. Proudly and humbly serving five presidents—Eisenhower, Kennedy, Johnson, Nixon and Ford—Hill rose through the ranks of the most elite protective force in the world during the tumultuous time that encompassed the Vietnam War; the assassinations of JFK, Martin Luther King, Jr., and Robert F. Kennedy; and Watergate. He retired in 1975 as Assistant Director, United States Secret Service, responsible for all protective forces. In 2012, he penned his remarkable memoir, Mrs. Kennedy and Me, which became a #1 New York Times bestseller. Lisa McCubbin is the coauthor of the New York Times bestsellers, Mrs. Kennedy and Me and The Kennedy Detail. An award-winning journalist, she has been a television news anchor and reporter, hosted her own radio show, and spent more than five years in the Middle East as a freelance writer. Visit her at http://www.lisamccubbin.com.